You may have noticed I was completely MIA for the first week or so in July (and if you didn’t notice maybe you should pay a wee bit more attention to my blog *wink wink*). Well, guess what? 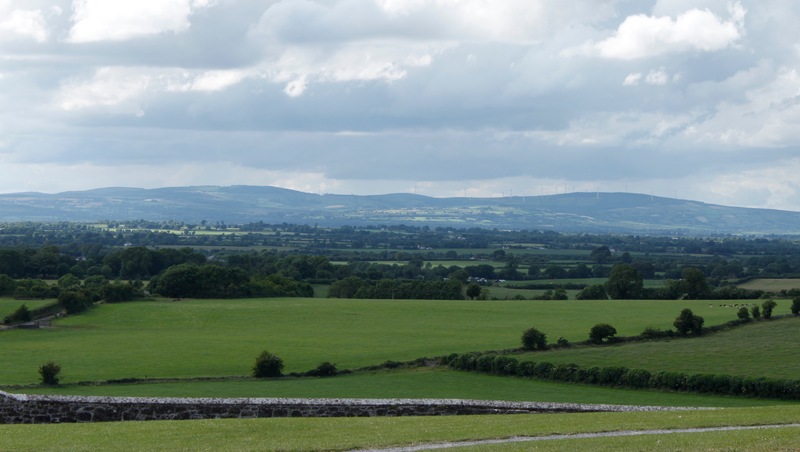 I was in Ireland (and subsequently recovering from jet lag)! 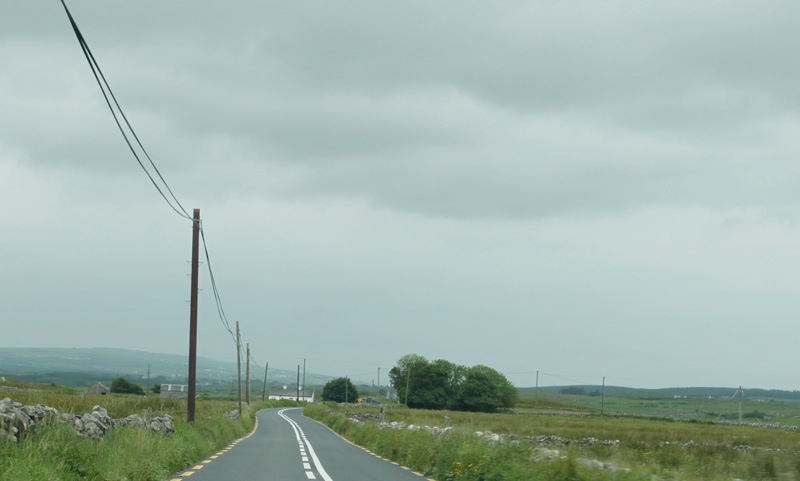 My friend and I drove around Ireland for a week and stopped at Dublin, Galway and Cork. We saw gorgeous green landscapes, explored castles, and ate one too many potatoes. Public bike rentals were introduced to Dublin in 2009 and since there has been a big push to encourage riding bikes. Last year there was a 14% jump in the number of cyclist in Dublin. In the coming years Dublin hopes to continue to increase bikes use and further reduce their carbon footprint. And while Dublin is no Amsterdam or Copenhagen, one day it could be. Now to a U.S citizen, bikers in Ireland seem nuts. These bikers are literally risking their lives for the environment. With the combination of narrow roads and fast drivers, willingly biking on the street seemed downright crazy to a foreign tourist. In the US people slow down and go around bikers. Even if they’re riding on the shoulder, we normally make an effort to avoid them. Not the case is Ireland! Bikers are given about 3 inches of space and no courtesy slow down. I can imagine that almost getting hit is just a regular old day over there. In the name of the environment I guess? This road shouldn’t be able to fit two cars and a biker, yet somehow it does. It may seem like a small step, but I’ll admit I didn’t see any receipts on the street. 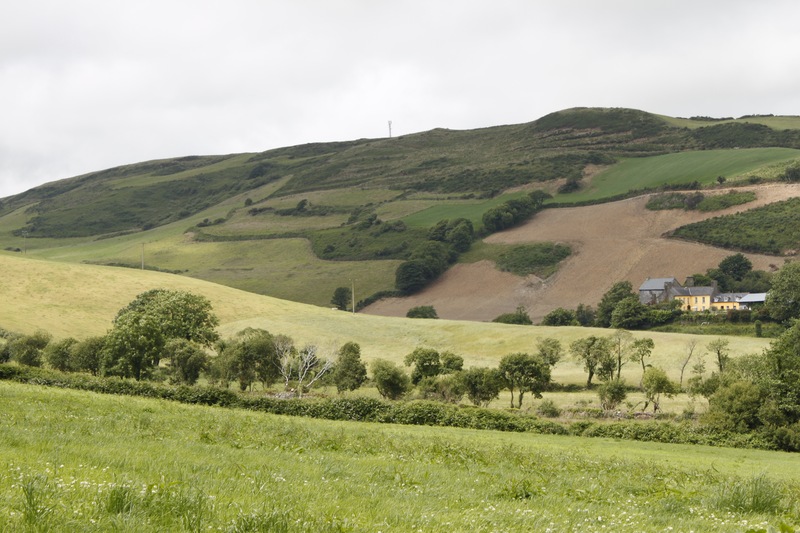 It is Ireland’s goal to generate 40% of its electricity from renewable resources by 2020. 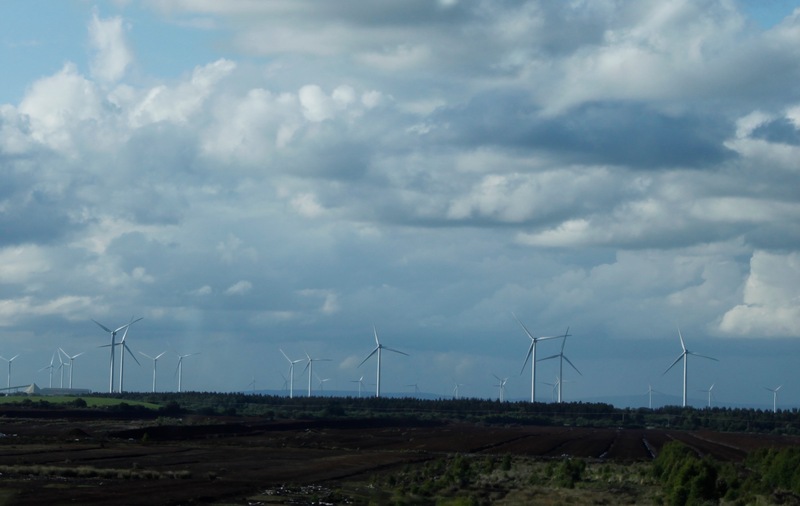 In 2013 47% of Ireland’s renewable energy came from wind. The biggest issue that surrounds wind turbines is the impact they have on the visual landscape and consequently tourism. Although I thought it was cool to see the turbines, I can understand the concern.While it may not be feasible to power the entire island with wind, it’s a step in the right direction. So whether or not more wind turbines pop up, Ireland is committed to decreasing their carbon footprint. Categories: Uncategorized | Tags: Adventure, ATM, Bikes, Cycling, Dublin, eco-friendly, Energy, Environment, Go Green, Ireland, Life, Lifestyle, Litter, Recycle, Travel, Wind Energy, Wind Turbine, Windmill | Permalink.